Ask about same-day appointments. Schedule online, anytime at PorterPhysicians.com, or call 1-844-PPG-DOCS (774-3627). Contact us via phone at 219-462-5144 to pay with American Express, Discover, MasterCard or Visa. Register in person at Valpo Parks, 3210 N. Campbell Street,Valparaiso, during office hours. We also offer an after hours drop box at our main entrance. Furthermore, making connections are key. There isn’t a greater example of that than with our Pathways system. In 2018, more than 2 miles of new pathways have been added to connect the northwest and south segments of Valpo, bringing the total linear park miles to 23. The northwest expansion was made possible through public and private partnerships, as so many of our projects continue to be. As we look to grow and serve the community in new areas, the Valpo Velocity bike share program was expanded to two new stations, Foundation Meadows Park and Cumberland Loop, bringing the total station count to ten. Connections and accessibility continue to be fundamental as we plan for the future. As we look ahead to 2019, we must not forget the legacy that was created from our dear friend, Dr. E. Ric Frataccia. Dr. Frataccia blessed our Park Board for more than 27 years showing us the path to exemplary service, leadership and passion for something greater than self. Over the years, Dr. Frataccia provided our Board with steady, insightful guidance and his legacy will live on in the form of programs, projects and people he impacted. We are Valpo. 2019 is promised to be another year of substantial growth and improvement. As such, the much-anticipated Dog Park, which will be located on the old Clifford property off of Campbell Street, is set to open in 2019. Additionally, many of our legacy properties will see advances this coming year in the form of infrastructure and design needs. Lastly, the pages that follow are full of new opportunities to get engaged and enjoy the exceptional quality of life in Valpo. It’s been a privilege to represent the people of Valpo as your Park Board President. Please continue to visit parks, participate in programs and attend events in 2019 and beyond! A first class visit to Holland, MI with beauty, fun and culture wrapped into one exciting day! Tour the beautiful lakefront city in a most unique way! REGISTER FOR ALL THREE BASEBALL GAMES AT ONE TIME AND SAVE $50! Experience beautiful Miller Park and watch the Chicago Cubs take on the Milwaukee Brewers. Cruise three branches of the Chicago River with amazing views of Chicago’s world-renowned architecture. Jul 4	Th	6:30 pm* FREE	Join us for one of the best entertainment and firework shows in the area. Event kicks off at 6:30 pm with live music and patriotic events, along with a great fireworks show at 9:15pm *Time is estimated. Put together your own child-sized scarecrow from the ground up. All materials will be provided, though you're welcome to bring your own clothes from home. Price includes all materials plus cookies and cider. $20 for each additional scarecrow. TOUCH-A-TRUCK Location: Central Park Plaza, Downtown Valparaiso DATES	DAY	TIME	FEE	Dec 14	Sa	11 am – 2 pm	FREE Kids of all ages will enjoy the opportunity to explore their favorite big rigs during this free hands-on Touch a Truck event. Complimentary refreshments, Santa, music, and more! Bring a new unwrapped toy to donate to local Toys for Tots efforts. Monetary donations also accepted. Youth Sports YOUTH SPORTS	Through role modeling and caring instruction by coaches and staff, all participants and parents will be shown how to put winning into proper perspective. Not only will your child learn sports skills, but they will also develop valuable life tools. WINTER PROGRAMS WINTER SPORTS SKILLS CLINICS/ AGILITY TRAINING The clinics will focus on individual and team development. Each day, campers will go through skill stations designed to help push them to improve as an individual and team player. Only $10 clinic fee when registering in combination with a Valpo Parks youth sports program by clinic deadline. Pitchers will need to provide their own catcher if possible. Participants will learn the basics of softball pitching fundamentals. Taught by local pitching coaches and high school players. Are you willing to coach? Receive $10 off your child’s registration by volunteering to coach a youth sports team. Introductory soccer program for 3 and 4 year olds. Each week participants will work on skills and drills. Final two sessions will be scrimmage games. Fridays will be used for make-up days. All participants receive a t-shirt and soccer socks. DATES	DAY	TIME	FEE	REGISTER Apr 29 – Jun 29	M – Sa	Varies	6U $75/$87	By Mar 15 8U $88/$100 10U, 12U $100/$112 Valpo Parks teams will play eight games. Games will be played weekdays and Saturdays. NEW: 8u and above will go through a skills evaluation. 4-5 year olds will play traditional t-ball. 6 year olds will start on T and transition to coach pitch. Season includes 8 games. 3 year olds will work with staff on skills and drills for 45 minutes each session. The last sessions will be traditional t-ball. Participants will receive a t-shirt and hat. 9u and 12u division players must attend a skill evaluation session. Upper Divisions may play 1-2 weekday games depending on teams for tournament. Come train for a week with Chicago Fire Staff. Participants will go through 5 days of camp, focusing on fundamental drills, and game situations. Each participant receives jersey, evaluation and game ticket voucher. The clinic will focus on individual development for all levels of softball pitchers. Each day camper will go through skill stations designed to help push them to improve as a softball player. The clinic will consist of four one-hour sessions and each participant will receive a t-shirt. Teams will compete against Boone Grove, Morgan, Washington, Kouts, Liberty Rec, and other Valpo teams with 70-ft bases and 50-ft pitcher mound. NEW: All participants must attend a skill evaluation day. Kids ages 6-12 will enjoy one 9 hole round each night (cart included) with parent or adult over 18. Fee will be waived for adults with a golf membership. Ages: 4 – 12 as of May 30, 2019 Location:Valparaiso High School Track/Ben Franklin Track DATES	DAY	TIME	FEE	REGISTER Jun 8 – Jul 20	Sa	Varies	$52/$64	By May 24 Boys and girls of all skill levels will have the opportunity to compete in 4 events each meet. Children will run with kids their own age, with boys and girls in separate divisions Valpo Parks will compete against the Valpo YMCA, Portage YMCA, and Porter County Parks Dept. Practice will be on Wednesdays. Teams will compete against Boone Grove, Morgan, Duneland, Washington, Westville and other Valpo Teams, with 90 ft bases and 60 ft pitching mound. NEW: All participants must attend a skill evaluation day. 4 to 6 year olds enjoy one game of bowling with parent or adult over 18, and special attraction including video game pass, mini golf or roller skating, depending on season. 7 to 12 year olds bowl two games and receive special attraction pass. Shoe rentals and t-shirt are included. The coach will begin as pitcher and transition to player pitch starting the first game. The season will consist of eight games and single elimination tourney. Weekday games start at 6 pm and Saturday times vary. Teams will play eight games, against other Valpo Parks teams and Valpo American Teams. We will conclude with a double elimination tournament at the end of the season. NEW: All participants must attend a skill evaluation day. This class is designed to give kids a preview of our summer sessions. Kids will learn the fundamentals of tennis through drills and games from our tennis instructors. Participating kids will receive a FREE tennis racket. Teams will compete against Liberty, Kouts, Morgan, Wanatah and other Valpo Teams. For Team registration, call 219-462-5144. An exciting and fun program that introduces children to the basics of tennis. Modified equipment is used to bring the game to the level of the players. Classes run Monday through Thursday with Fridays used as make up days for rain-outs. NOTE: NO CLASSES JULY 1ST THROUGH 5TH. Each session will consist of 1-1/2 hour of skills and drills and game situations. Local High School and College players will be conducting the drills. Each participant receives a t-shirt. The coach will begin as the pitcher and transition to player pitch starting the first game. Teams will compete against Liberty, Kouts, Morgan, Wanatah and other Valpo Teams. For Team registration, call 219-462-5144. This tourney is only open to teams already registered in the Summer Leagues. For an additional $100, teams play a minimum three games. Winners of each bracket will receive either a team credit or t-shirt uniforms for the season. Limited number of spots available. Men’s, Women’s, and Coed Softball Leagues are offered during the summer and fall months. Teams are placed in divisions by request and past records and range from competitive to recreational. Six or more non-residents equals a non-resident team. All team fees must be paid prior to the first night of play. Roster Deadline is March 28 with $100 deposit. The league offers 12 games (6 per half) along with a postseason doubleelimination tourney. Up to three divisions are offered: competitive, midrecreational, and recreational. Rosters are required with $100 deposit. Coed teams are required to have a minimum of three women on their rosters. Six or more non-residents equals a non-resident team. All team fees must be paid prior to the first night of play. Registration Deadline is April 18 with $100 deposit. Two different opportunities to “Tower” over the courts of Valpo! The tourneys are separate from one another, and if numbers warrant, we’ll have more than one division. Teams are guaranteed three games minimum. This league is for Men’s, Women’s and Coed teams that prefer weekend play. Season will consist of 10 games plus a tourney. Depending on the number of teams, some teams may play "split" double headers with an hour break in between games. Teams are placed in divisions by request and past records and range from Competitive to Recreational. Six or more non-residents equals a nonresident team. All team fees must be paid prior to the first night of play. Roster Deadline is July 11 with $100 deposit. Oct*	W	TBD*	$60 Women	By Oct 7 Any team participating in our leagues can register to play in our preseason tourney. Limited number of spots available; brackets will be determined by Divisional assignments. Tourney winner has the option of team credit or t-shirt uniforms for the season. *Date will be scheduled 1–2 weeks before start of regular season. Season includes round robin play and tournaments. Four or more nonresidents equals a non-resident team. All team fees must be paid prior to the first night of play. Any combination of Adult/Child, as long as they are related, can participate in this scramble formatted tournament. Participants make their own tee times on Sunday, and compete in this scratch and handicapped event. All tournament fees will fund awards, with winners determined by number of participants and flights. Regular green and cart fees apply; season pass holders may use their pass for green fees; there is also a separate league fee. Play your choice of a 9 or 18 hole league. Alternate the front and back nine weekly. This weekly Senior Men’s League at Forest Park Golf Course consists of a variety of weekly individual and team formats. Contact Forest Park Golf Course, 219-531-7888 for more information. June 1 – 30 Thursdays during the month of June, ladies receive complimentary green fees and/or cart with the purchase of greens fees or cart of equal value from an accompanying golfer. PGA TAKE YOUR DAUGHTER TO THE COURSE WEEK CREEKSIDE GOLF COURSE July 1 – 7 Any parent who brings his or her daughter (must be 18 years or younger) to the course to play a round of golf will receive free green fees for the daughter, with a paying adult. August 31—September 2 Golfers playing during this weekend have the opportunity to donate $1 to benefit the “Folds of Honor” scholarship program for children of fallen soldiers. Patriot Days is sponsored by the Professional Golfers Association of America. For more information, contact either golf course by calling 219-531-7888. Student: Must be 21 years or younger with a student ID Individual: Must be 18 years or older to drive a cart Senior: Must be 60+ Couple: Must be two people who reside in the same household Standard: Unlimited greens fees on weekdays and after 1 pm on weekends & holidays at Forest Park. Unlimited greens fees at Creekside anytime. Premier: Unlimited greens fees at Forest Park and Creekside anytime. Eligible for membership benefits. This innovative course teaches computer programming skills through interactive and exciting projects. Children will have a blast creating video games, animated stories and brining their imaginations to life. Students must bring in a baked, un-iced cake to decorate. Icing and decorating tips will be provided. Discover the joy of drawing. Learn the language of line, value, shape, texture, space, mark-making, and composition. Students will sharpen their observation skills and learn about different drawing tools, materials, and techniques to create abstract designs and realistic drawings. Inspire your child to become a budding artist. This class is a dynamic way for your child to develop their own creativity. Each week will feature a fun new art design material and process involving mosaic, clay sculpture, batik, printmaking, drawing, painting and mask making. We will be inspired by historical and contemporary art and fold art practices around the globe. Discovery Day Camp Looking for a camp where children will have the most fun during the summer? Look no further. Discovery Day Camp is the place. The camp is located at one of Valpo’s most popular parks, Rogers-Lakewood. At DDC, each week will feature a different theme filled with a wide variety of activities. Campers will be able to experience field trips, fishing, inflatables, boating, nature hikes, arts and crafts, water games, slip n slides, and many different sports. An opportunity to make new friends while having fun participating in a variety of activities is found at Discovery Day Camp! SIBLING DISCOUNT Enrolling more than one child in Summer Camp? Take advantage of our discount. A $10 discount applies to the 2nd child’s enrollment. FREE WEEK OF CAMP Register for all weeks of camp at one time and receive ONE FREE standard camp week. Discovery Day Camp (DDC) offers your child the summer experience of a lifetime. Our camp is designed to perpetuate a multitude of skills including leadership, socialization, team-building, sportsmanship, and problem solving. Campers are given the chance to make friends and lifelong memories, while becoming more well-rounded individuals. We promote a healthy lifestyle, giving campers the opportunity for physical activity, fresh air, and lots of fun and new activities to do. DDC campers can look forward to fun and safe activities such as field trips, inflatable days, games, songs, team sports, arts and crafts, and more. Campers will bring a lunch Monday – Thursday. Lunch will be provided on Fridays. 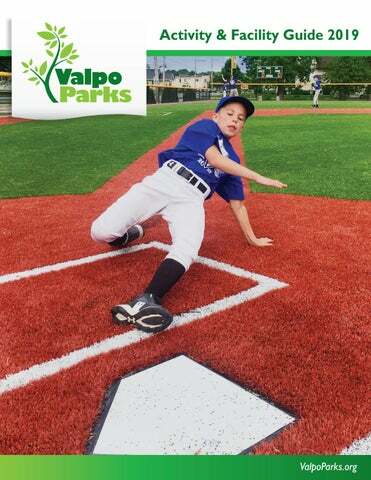 **Must be 5 years of age on or before Aug 1, 2019 to be enrolled in Voyagers, special arrangements can be made, please contact Valpo Parks office. Campers attending summer school in the Valparaiso Community School district may attend camp during those weeks at a half day rate. This is only available during summer school weeks. Parents may contact the school district transportation to setup drop off at RogersLakewood Park. Just need One day of care? Campers will play games, make crafts, and enjoy the outdoors. A snack is provided during both AM and PM Care. Adult Enrichment QIGONG 5 ELEMENT HEALING MOVEMENTS The revolutionary QiGong movements are designed to activate the healing intelligence within you to help accelerate your body to heal. No previous experience needed to join this class. Vinyasa yoga teaches us how to care for ourselves. Using breath, movements, postures and sequences, we evolve our bodies with the ability to concentrate. Enjoy one of the fastest growing sports and get a chance to meet new people. Players must bring their own equipment. Each workshop is run by a professional photographer and is geared toward helping you achieve your comfort level with your camera. •	Knitting and Crocheting Club •	Line Dancing •	Bingo, Bunco and a Retiree Support Group •	Art, Gardening and Genealogy Classes •	Scrabble, Mexican Train Dominoes, Mahjongg, Phase 10 and many other games. •	Holiday parties throughout the year •	Monthly guest speakers •	Available for rental, contact the Banta Center directly for rates and availability. Great for showers, open houses, birthday parties and more! This 4-week class will cover goal setting, getting a good night's sleep, cutting back on sugar, introduction to clean eating, managing stress and home remedies for aches and pains. Each week you leave with a custom action plan you work on between sessions. Taught by Mari J Hahn, Certified Health Coach, Board Certified Massage Therapist and Author. Join other community members at Old Fairgrounds Park for an evening walk around the track. All events are FREE and no registration is required. COMMUNITY GARDEN Located at 3210 N. Campbell St at Foundation Meadows Park, residents may reserve a 10 x 10 plot to grow their own veggies or flowers from May – November for just $45 per plot. Space is limited. Only 42 plots available. Call the Park Office for more details. 219-462-5144. This 8-week class will take a holistic approach to gut health. Dive into the topics of health, diet, stress, food sensitivities, self care and more. Taught by Mari J Hahn, Certified Health Coach, Board Certified Massage Therapist and Author. DATES	DAY	TIME	FEE	Sep 16 – Oct 7 M	7 – 8:15 pm	$99	This 4-week class provides everything you need to know to eat proven heart healthy foods inspired by foods of Italy, Greece, France, Spain and the Middle East. Classes are fun and informative. Taught by Mari J Hahn, Certified Health Coach, Board Certified Massage Therapist and Author. This 122-acre park is one of Valparaiso’s premier facilities, with activities that include hiking, fishing, and boating. Plan your next family or neighborhood event at Rogers-Lakewood Park. Season vehicle stickers must be adhered directly to your vehicle windshield and are not interchangeable.Valpo City resident fees are offered to those residing within or owning property within Valparaiso’s city limits. Reservations: Earlier times may be available upon request. Reserve two weeks in advance. Contact the Valpo Parks Office at 219-462-5144. Rogers-Lakewood is home to a 24-hole championship caliber disc golf course with a mixture of hole types requiring a variety of shots that will challenge players of all skill levels. While the City of Valparaiso provides invaluable assistance with use and maintenance of the park, the course itself is almost entirely financed, created and maintained by the volunteer efforts of the Duneland Disc Golf Club. In 2016, new Innova DISCatcher Pro 28 baskets were installed and the DDGC continued to replace existing outdated teepads out on the course. In addition to course maintenance, the DDGC also runs year-round leagues at the park, along with several special events and tournaments each year. The club is also very active in the community, hosting a Ice Bowl each year which raises monies and collects canned goods for the NWI Food Pantry. *Must show military ID or proof of service. Senior citizens must be a Porter County Resident and age 60 or older to receive Senior Discount. Boat Rental (Must have valid driver’s license to rent a boat) Paddleboat	$5 per ½ hour Rowboats	$5 per hour (Rates subject to change.) Fishing Pole Rental Two Poles & nightcrawlers	$20 per 2 hour Game Kit Rental	$20/day (cash only) Each kit contains football, soccerball, kickball, bean bags/boards, six cones, and volleyball & net. Game kits are on a first-come-first-served basis. 2501 McCord Rd Large open greenspace, playground equipment. 1500 Roosevelt Rd 2 baseball fields with dugout benches. 2. BANTA PARK 605 Beech St Neighborhood park with playground and green space area. 3. BERKLEY PARK 201 Sheffield Dr Neighborhood picnic area with green space area. 2902 N. Campbell St The Horticulture Center is committed to environmentally responsible land management in the City of Valparaiso. 4. BICENTENNIAL PARK 175 Burlington Beach Rd Large open greenspace, multi-purpose area with basketball backstop, newly refurbished playground equipment, softball fields. 5. CENTRAL PARK PLAZA 63 Lafayette St Open greenspace, park benches, splash pad, restrooms and Porter Health Amphitheater, William E. Urschel Pavillion, Costas Dining Plaza and Indiana Beverage Activity Center. For more information, see www.CentralParkPlazaValpo.com. 2355 Clifford Rd Three-hole and nine-hole courses, 48-station driving range with covered and heated tee boxes, putting green, chipping areas and two indoor golf simulators. 7. DISCOVERY COTTAGE 1158 W Harrison Blvd Site of monthly themed classes for pre-school aged youth. 8. FAIRGROUNDS PARK 704 McCord Rd 3/4 mile walking track, 4 softball fields, soccer field, playground equipment, Life Trails System, Butterfield Family Pavilion, restrooms. 9. FOREST PARK 851 Harrison Blvd Large open greenspace, backstop, two picnic shelters, restrooms and a two acre nature area with walking trails. 10. FOREST PARK GOLF COURSE 1155 Sheffield Dr N 18-hole course with wide open traditional parkland front nine, and a very challenging back nine. 11. FOUNDATION MEADOWS PARK & PARK ADMIN OFFICE 3210 N Campbell St Service Memorial Fountain and Monuments, Butterfly Meadow Playground, gazebo, 2 picnic shelters, prairie trails, 50 Trees of Indiana arboretum, community garden, restrooms,. 400 Elmhurst Ave Playground equipment, greenspace and picnic shelter. No restrooms. 400 N Roosevelt Rd Open greenspace, horseshoe pits, basketball, tennis courts, age-appropriate playground equipment, baseball fields, restrooms and 4 picnic shelters. 16. OGDEN GARDENS 451 Harrison Blvd Spectacular floral displays, a Japanese garden, koi pond, brick plaza and gazebo. 17. ROGERS-LAKEWOOD PARK 5320 N Meridian Rd Hiking trails, fishing, boating, rowboat & paddleboat rentals, park store, playground equipment, group hayrides, disc golf, Discovery Day Camp, restrooms and 5 picnic shelters. 18. TOWER PARK 1000 N Franklin St Basketball courts, youth baseball field, pickleball court, picnic shelter, restroom, playground and greenspace. 19. VALPLAYSO PARK 1400 Glendale Blvd Large open greenspace, t-ball fields, all accessible playground equipment, nature walk area, restrooms, picnic shelter. 20. WESTSIDE PARK 157 Westside Park Ave Large open greenspace, soccer fields, baseball fields, playground equipment, and restrooms. 21. WILL PARK 354 Morgan Blvd Large open greenspace, backstop with play area suitable for ball games, restrooms, and picnic shelter. Central Park Plaza CENTRAL PARK PLAZA As a centerpiece for downtown Valparaiso, Central Park Plaza houses the Porter Health Amphitheater, William E. Urschel Pavilion, the Indiana Beverage Activity Building and the Bill Costas Family Plaza. Each of these areas plays a key role in many events year round. Whether it’s a movie, festival, concert, church service, ice skating or even just a simple conversation with friends, there is something for everyone! You will see for yourself why Central Park Plaza makes Valparaiso one of the best and most-loved downtowns and one of the top rated 50 communities in America! When thinking about having your next big event, have it here with us at Central Park Plaza. in the palm of your hand! Get the free Valpo Downtown app Valpo’s free smartphone app gives you the update on downtown, with a calendar of events, a handy map, and even pinpoints for things like ATMs and parking. Find out what’s happening each day at Central Park Plaza, the Memorial Opera House, Chicago Street Theater, the Porter County Public Library, downtown restaurants and more. Classes will meet twice a week for three weeks. There will be 3 sessions from November 26, 2018 – February 25, 2019. Lesson fee includes ice skate rental and open skate for the day of the lesson. Participants can use their own skates. They must wear a helmet; bike helmets are acceptable or they can use one from the rink. Space is limited. Makeup days for lessons will be held at the end of the session and only one makeup day is guaranteed. For more information, visit our Central Park Plaza online at CentralParkPlazeValpo.com. Opens Mid-May – Mid-September. 10 am – 7 pm. Check website for updated hours due to special events. For more information, visit our Central Park Plaza online at CentralParkPlazaValpo.com. The American Planning Association (APA) named Central Park Plaza one of five Great Public Spaces on the organization’s 2016 Great Places in America list. The program recognizes streets, neighborhoods, and public spaces in the United States demonstrating exceptional character, quality, and planning— attributes that enrich communities, facilitate economic growth, and inspire others around the country. Nestled in the middle of beautiful Ogden Gardens, the Florence A. Dayton Gazebo provides the ideal setting for an outdoor wedding or the perfect backdrop for a special photo opportunity. Be sure to recognize your special event with an Ogden Gardens Commemorative Brick. Call 219-462-5144 for more information. Event Cost: $180/192 for 2 hours Rehearsal Cost: $45/$57 for 1 hour/chairs not included Rental fee includes 60 chairs. Additional chairs can be ordered up to 100 for an additional fee. Located at Foundation Meadows Park, the gazebo is surrounded by a spacious lawn, maturing trees, and a nearby fountain. The Gazebo overlooks the Service Memorial at the Valparaiso Veterans and Volunteer Plaza. Event Cost: $160/172 for 2 hours Rehearsal Cost: $45/$57 for1 hour/chairs not included Rental fee includes 60 chairs. Additional chairs may be ordered up to 100 for an additional fee. Reservations beginning in non-prime and entering prime time are charged the prime time rate. For information regarding Welter Room rentals please contact the Golf Course 219-531-7888, or the Park Office at 219-462-5144. Must be reserved two weeks in advance. Reservations beginning in non-prime and entering prime time are charged the prime time rate. For information regarding Hoffman Room rentals please contact the Golf Course 219-531-7888, or the Park Office at 219-462-5144. Must be reserved two weeks in advance. Shelter reservations are accepted during regular business hours Monday – Friday, 8 am–5 pm by calling 219-462-5144. Payment for shelter reservations is due in full when making the reservation and is non-refundable. Must be reserved two weeks in advance. Bounce House: $145 plus tax Inflatable Slide: $190 plus tax Add a bounce house or inflatable slide to your birthday party or special event when renting a Valpo Parks picnic shelter. Inflatables are available through the Valpo Parks preferred provider only. Field rentals available late April through beginning of October. Non-smartphone riding is available! Visit zagster.com/valpovelocity get started. Non-smartphone riding is available! Visit zagster.com/valpovelocity to gettostarted. Register early to assure your place in our programs. In addition to registering for your regular favorite classes/programs, why not experience something new this year? If your class is full, we can place you on the wait list and if there is a cancellation we will contact you. Payment is not required until we place you in the class. Receipts are automatically generated through online registration. Please keep this brochure or a record of program dates and times for your reference. Most league players will be contacted by coaches and captains. If you would like to confirm your enrollment in a class please call the Park Office during regular business hours Monday â&#x20AC;&#x201C; Friday from 8 am â&#x20AC;&#x201C; 5 pm at 219-462-5144 and a Customer Service staff member will be happy to assist you. Fee assistance is available to reduce the basic fee for most Park Youth Programs. Fee assistance is based on family income and the number of members in the family. To apply, simply inquire when registering for a youth activity. A parent will be required to complete a short form. More information and guidelines are available at the Park Office. 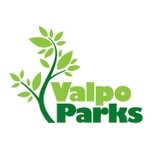 By participating in park programs you assume the risk of injury and you agree to hold harmless the Valpo Parks Department, the City of Valparaiso, and its agents and forfeit the right to make any claim for monetary damages against Valpo Parks and the City of Valparaiso if you or your property is damaged while participating in or attending a program or while in a park facility. If a program deadline has passed, please contact the Park Office regarding late registration. In most cases we are able to accommodate those still wishing to participate. A $10 per person and per program late registration fee will apply. All programs are subject to a minimum $10 cancellation fee; some restrictions apply. No refunds will be granted after the deadline date. Facility rental fees are non-refundable; including, Butterfield Family Pavilion, Central Park Plaza Ogden Gardens and Foundation Meadows Gazebos, park shelters, hayrides and pre-paid Rogers-Lakewood entrance fees. For details on refund policies contact the Park Office at 219-462-5144. Valpo Parks reserves the right to cancel or alter a class or program due to limited registration or circumstances beyond its control. In this instance, enrollment fees will be refunded. The Park Board has adopted a policy of the resident discount user fees at most facilities and for most programs. This policy apportions an equalized higher fee to our non-resident participants. The higher fee contributes to the overall operations financing of the Park Department on an equitable basis with Valparaiso City residents who contribute by paying property taxes. Standard fees are offered to those residing within or owning property within Valparaiso City limits. For the protection of park visitors and their property, all Valparaiso Parks have a 10:00 pm curfew unless otherwise posted or unless prior arrangements have been made.Visitor cooperation is appreciated. Park staff and volunteers may photograph or videotape participants enrolled in programs and events or enjoying park facilities. These photos are for department use only and may be used in department publications or media promotions. If you prefer that you or your child not be photographed, please notify the photographer or program supervisor. Be considerate of others enjoying the parks. Dogs are allowed in the parks, but they must be on a leash and owners are responsible for cleaning up after them. Please leash and scoop. Pet waste stations provided by Vale Park Animal Hospital. Alcohol in City parks is discouraged. For your safety and the safety of others please refrain from drinking and driving.